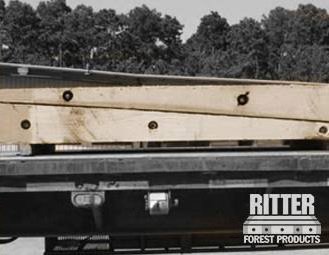 Ritter Forest Products is an industry leader when it comes to providing commercial and industrial companies in West Virginia with hardwood crane mat sales and rentals. We carry a large selection of crane and timber mats rentals and have thousands of options for you to choose from. Our products will help make your worksite significantly safer and protect your employees and the areas where you work. We can also supply you with pipeline skids, Shoring material/cribbing, and more. If you use heavy equipment on a regular basis, you need the products we have to offer. 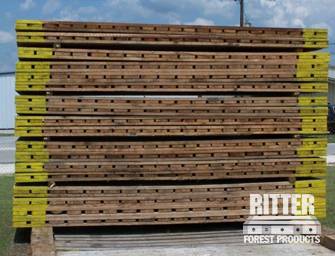 At Ritter Forest Products, we keep plenty of precut crane and timber mats in our inventory at all times. It gives us the opportunity to deliver our mats to you quickly. We can also create a custom mat and timbers for you if you need a specific size that we don’t have or a mat made out of a certain material. We will work with you to manufacture the custom crane mats you need to get any job done. Why are crane mats in West Virginia so important? For starters, they will allow you to maneuver cranes and other heavy machinery over uneven ground safely. They will also hold this equipment in place when you are using it and prevent it from sinking down into the ground. Our crane mats in West Virginia are essential to any company utilizing heavy machinery. When you call on Ritter Forest Products for laminated and timber mats for rent in West Virginia, we can help you pick out your best option. Our mats are made out of different types of hardwood, and while they’re all very durable, you might prefer one type of mat over another. We make sure our customers are satisfied with their hardwood crane mat sales and rentals before delivering them. In the event that you need a mat with increased maneuverability on your job site, we would recommend the laminated mats in West Virginia we have for sale. They can be moved around more easily than other crane mats and can be used to build temporary roads, stable platforms, and more. All of the 3-ply laminated mats that Ritter Forest Products has in stock are made out of 2x8s and the same high-grade materials as our other mats. The biggest difference is that they are lightweight and easy to move around. They can also be used with chains and cables for lifting purposes if you want. 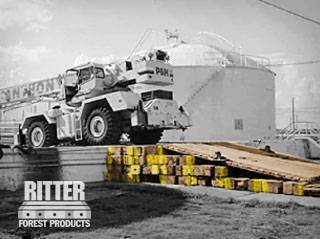 For those looking for a little more stability for their heavy equipment, the outrigging pads from Ritter Forest Products are the perfect solution. They are typically custom made and will fit beneath your equipment to keep them in place. We also have transition mats in West Virginia that you can use to elevate equipment from one level to the next. They will allow you to take a piece of equipment from the ground level to an elevated surface safely. If you are in the process of building a pipeline, you should make sure you use pipeline skids/timbers in West Virginia. They will help with cribbing, racking, and elevating your pipes. We have a pipeline skid for sale that will work great and allow you to build your pipeline more efficiently. Although the majority of our customers come to us for crane mats sales and rentals, we also like to point out that we have Shoring material/cribbing that can be used for shoring up temporary structures and cribbing walls that haven’t been secured yet. Our shoring and cribbing materials can also be utilized to prop up heavy equipment as an extra security measure. 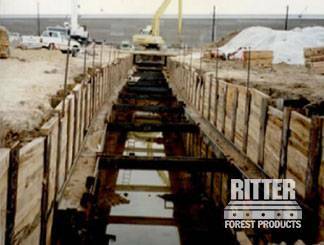 Ritter Forest Products can set you up with everything from hardwood crane mat sales and rentals in West Virginia to pipeline skids for sale. Let us know what you need, and we would be happy to provide you with it.